View of the living room looking from near the front door toward the northeast. This angle is similar to the view toward the fire-damaged loft. 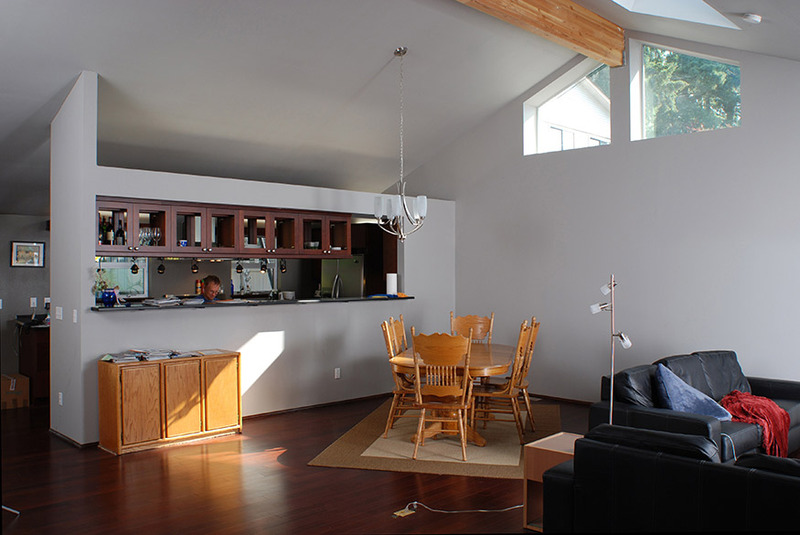 A vaulted ceiling and clerestory windows makes the living room a bright, airy space. The ventilating skylight provides solar heat in winter and natural, stack effect ventilation in summer.